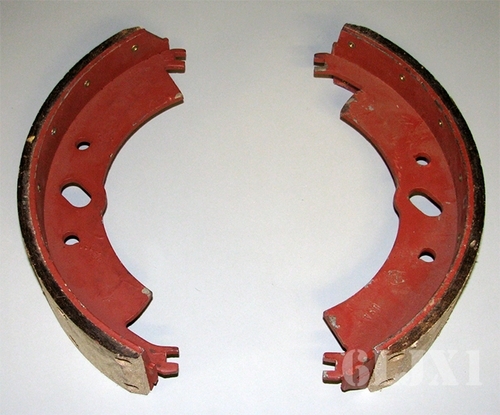 Brake shoe pair for trailers M105A2 / A2C, M448, M103A3, M107A2 / A2C, M105A3, XM1061E1, M1061A1, XM1073, XM979, and G749 series trucks. Sold in pairs as shown. Price is per pair. 3 inch wide lining, fits 15 inch drum, 11.75 inch center to center on wheel cylinder link pins. Each shoe is P/N 7064978, A8-3222W855. NSN 2530006931007. These brake shoes do not fit the M103A1, M105A1, M107A1.